At RU 20 /20 Eyewear you will be cared for by knowledgeable opticians who are specially trained to help you select the best lens and frame type to meet your unique needs. Susanne and Kristin have over 40 years of combined experience in the optical industry and provide exceptional customer service. 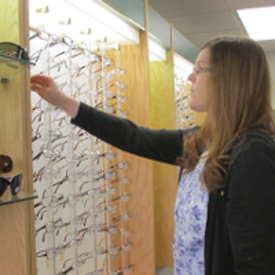 We display frames in every price range from "budget friendly" to "designer eyewear". We remain on the cutting edge of new lens technology so that we can offer our patients the best vision possible. 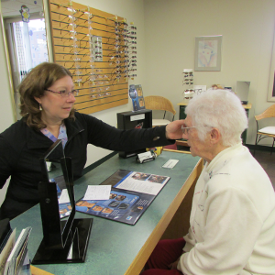 Our service does not end when you pick up your new eyewear. We will gladly clean, adjust and repair your eyeglasses and answer any questions you may have. We build long term relationships with our patients and our goal is to exceed your expectations with every purchase.